Anyone who lives anywhere near Christ Church with St Philip (near the corner of Ruskin Drive and Cheam Common Road) will have taken a short cut through their garden at one time or another. In doing so they will probably have considered what a pleasant and well tended garden it is. Unfortunately this pleasant garden doesn't tend itself. 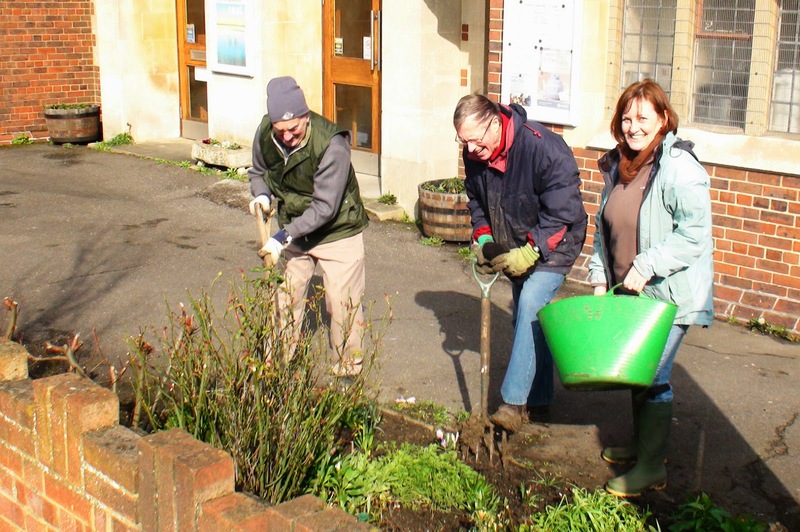 On the first Saturday of each month during Spring and Summer a small team of dedicated people take the time to look after it and make it nice for the pleasure of those who walk past (or cut through). Now if any readers enjoy gardening and a bit of company, Isobel and the team would love to welcome you along to help. There is always plenty to do but as Isobel told the blog, free tea and coffee is provided. The next one is this coming Saturday from around 10am. Some gardening gloves, trowels and spades are provided (as well as the tea and coffee) but feel free to bring some if you like. It is fine to just turn up. However if you would prefer to let Isobel know first or talk anything through, feel free to giver her a call on 0208 330 4738.